Mother changing diaper. Young mother changing stinky diaper to cute smiling baby. 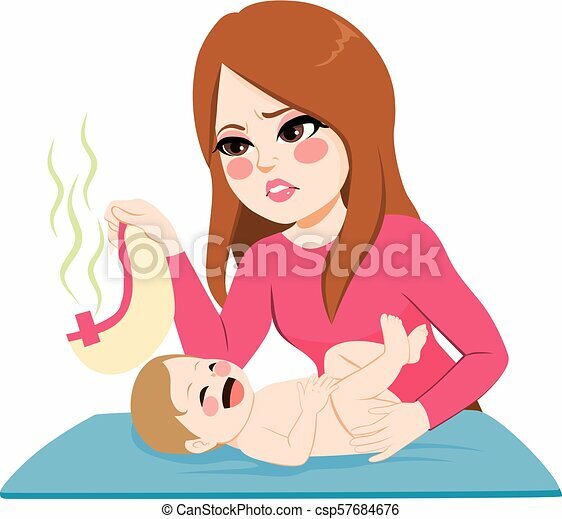 Vector illustration of young mother changing diaper and swaddling her newborn baby. Childcare concept flat style design element. An image of a woman holding a fresh diaper next to a crib. 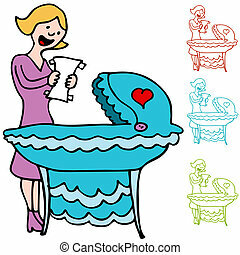 A mother changing baby's diaper on a table hand drawn outline doodle icon. 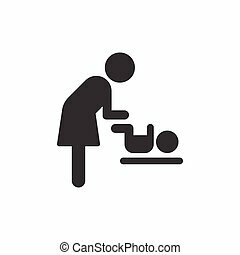 Newborn hygiene vector sketch illustration for print, web, mobile and infographics isolated on white background. 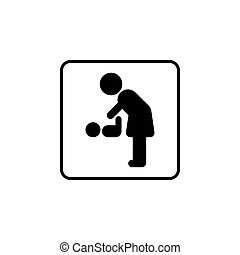 A mother changing baby's diaper on a table hand drawn outline doodle icon. 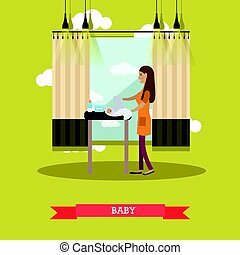 Newborn mother care vector sketch illustration for print, web, mobile and infographics isolated on white background. Changing diapers steps illustration. Newborn baby with dirty diaper. Young parents.